The goals seem ambitious, and have had varying levels of support from global governments. However, a huge number of projects are already in place around the globe, working towards achieving these goals, and the more support they get from businesses, financial institutions and individuals alike the closer we get to having the necessary political will and finance in place to make these hugely ambitious development goals a reality. 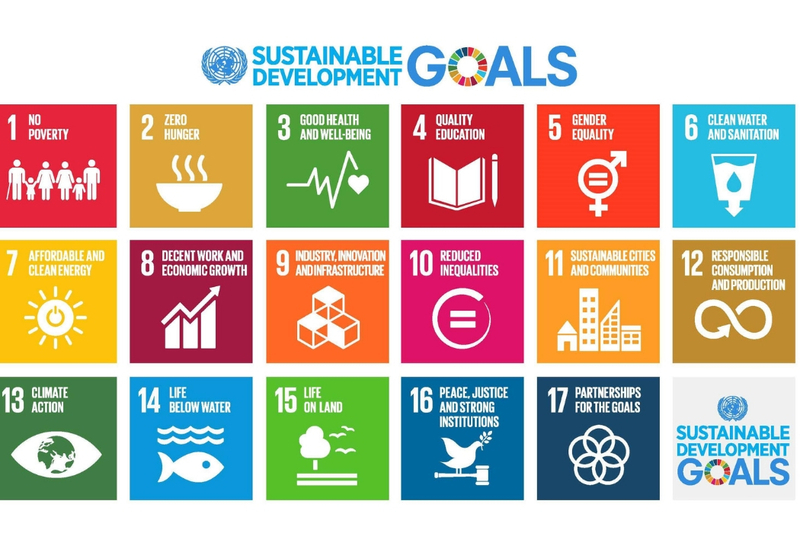 This week is Global Goals Week, and organisations around the world are working together to raise awareness and take action towards achieving Global Goals. Here, we highlight the ways that the Energise Africa initiative is working not only to accelerate access to affordable and sustainable energy for all, but helping achieve other SDGs too. Energise Africa is an initiative that aims to provide pioneering businesses that install solar systems in rural Africa with the working capital they need to purchase solar home systems and then sell these systems to African families with an affordable financing plan – providing them with reliable, safe and affordable access to clean energy. Families make monthly payments and after 12 – 24 months (depending on the size of the system) the family owns it outright. Number 7 of the Global Goals is “access to affordable, reliable, sustainable and modern energy for all”. Unfortunately, based on current trends, it will take until 2080 to achieve this – 50 years past the deadline. This is where investing in solar installations in Africa can have a big impact. Currently around 130 million households there have no access to mains electricity. But sunlight is plentiful, and solar home systems can bring a reliable source of energy. End poverty in all its forms everywhere. Solar systems aren’t just used in homes. Businesses across Africa are benefiting from access to electricity. From water pumps that enable farmers to keep crops alive, to local shops offering refrigerated food and drinks, solar installations allow the people of Africa to become more profitable, moving away from poverty. Ensure healthy lives and promote wellbeing for all at all ages. Having access to electricity has a big impact on health. Families can store and refrigerate fresh food and pump and boil water, meaning a healthier diet. Not having to use kerosene lamps for lighting reduces or eliminates harmful fumes in households. Even medicines benefit from being stored in the fridge. Ensure inclusive and equitable quality education and promote lifelong learning opportunities for all. While most children in rural Africa have the opportunity to attend school, lack of electricity and darkness means their hours of study are restricted. By providing energy from solar, children can study for at least an hour longer each day, giving them greater educational opportunities. They can also have access to phones and computers, increasing their level of technological awareness. Achieve gender equality and empower all women and girls. As with number 4, girls in Africa can obtain a better level of education when they have electricity. But it also increases opportunities for entrepreneurial ventures. Using mobile phones, women can become more independent, and access to electricity provides them with enhanced work opportunities. Take for example, Mary, who runs a barber’s shop in Uganda and since she received solar energy, her profits have increased by 30%. Or Patience, who runs a local store there, getting solar has allowed her to sell cold drinks, which has greatly increased footfall to her shop and therefore her profits. Take urgent action to combat climate change and its impacts. Solar power is 100% renewable. It is a clean alternative to fossil fuel and produces no toxic pollution or global warming emissions. Typically, through the installation of 1 solar home system a household will avert 1.2 tonnes of CO2. So if Energise Africa can provide the investment to enable 111,000 rural families in Sub-Saharan Africa to have access to clean energy then that’s potentially 133,200 tonnes of CO2 which can be avoided each year. While some may see the 17 UN Sustainable Development Goals as unattainable, or at least something that governments, businesses and financial institutions should be addressing, we also need to realise that as individuals coming together and investing in initiatives like Energise Africa we can create a massive impact. Through taking greater ownership of how and where we invest our money we can not only deliver life changing social and environmental impact for families in Sub Saharan Africa, but we can also earn a financial return at the same time – creating a truly win-win situation for everyone involved. Energise Africa is a ground-breaking initiative that provides people with the opportunity to invest in a range of pioneering businesses that install life-changing solar systems in homes in Sub-Saharan Africa – bringing clean energy and economic opportunities to families, whilst aiming to generate a 4-6 % annual return for investors. Your capital is at risk and returns are not guaranteed.